State House, Banjul, 17th January 2019 – The Public is hereby informed that His Excellency, Adama Barrow, President of the Republic of The Gambia, alongside His Excellency Macky Sall, President of the Republic of Senegal, will on Monday 21st January 2019 preside over the inauguration of the much anticipated Trans-Gambia Bridge. 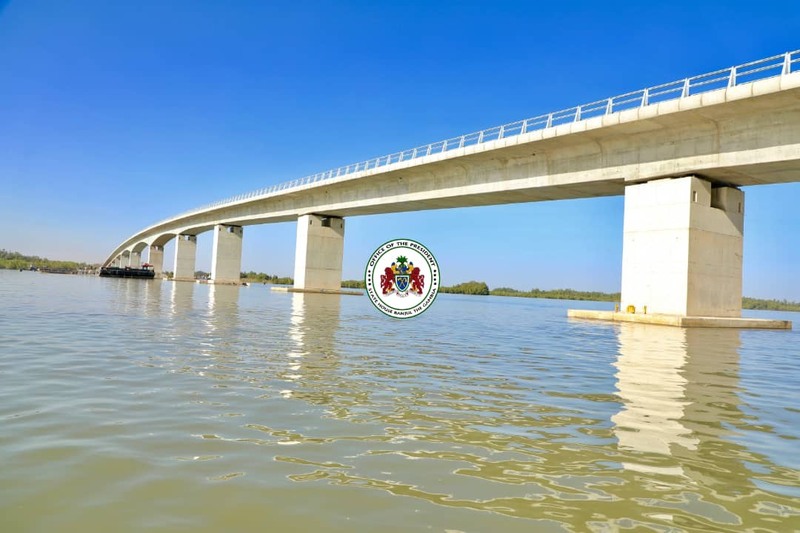 The bridge, which is part of the Trans-Gambian Road Corridor, is a vital economic and strategic link connecting north and south banks of the River Gambia as well as The Gambia, Senegal and other countries in the sub-region. Following a long lull in the construction of the bridge during the former regime, the Barrow government upon coming into office took up the completion of the project as a key priority. Taking into account the strategic interest of the country and in line with the integration agenda of the ECOWAS sub-region, the Barrow government mobilized the much-needed funds from the African Development Bank to continue the construction. The bridge is one of the biggest in the sub-region with a length of 1.9 kilometres and over five stories high. It is designed to be a tolled-bridge that would accommodate the passage of most vessels, while longer-mast boats can easily fold their masts to pass through the bridge. Fifty-seven percent of workers are Gambians, eighteen percent expatriates, and twenty percent other ECOWAS citizens.